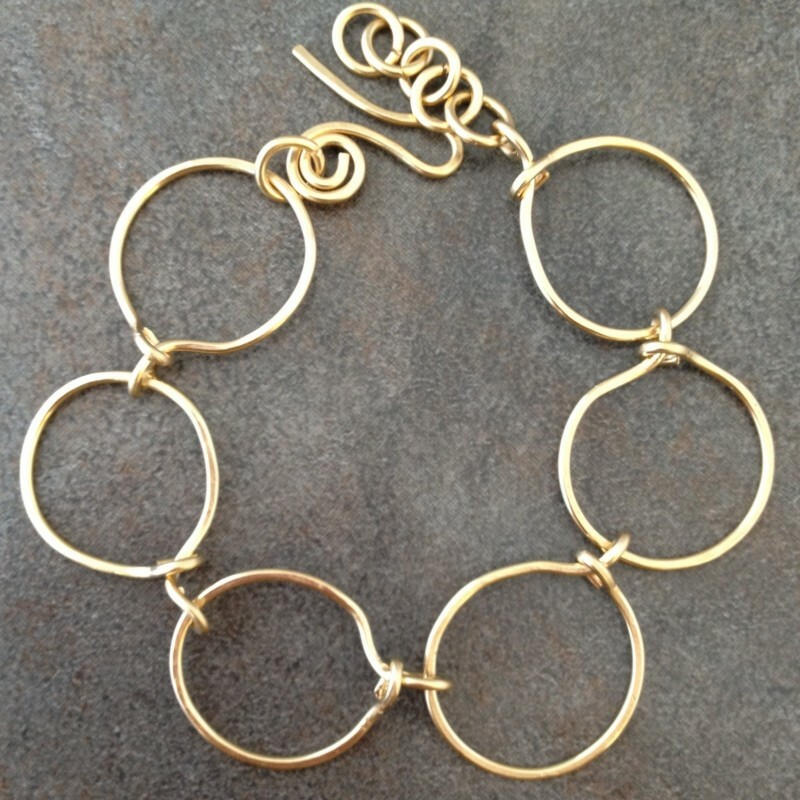 14k gold filled heavy gauge wire is used to form interlocking moving circles. Slightly hammered. 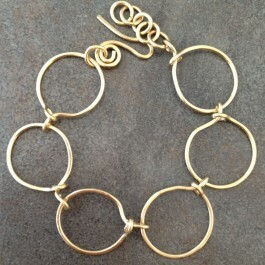 Hand crafted clasp. Simple yet elegant. 7" long + 1" extension, 7/8" wide.